You are here: Home / Smoothies / Why Replace Whole Fruits and Vegetables with a Smoothie? 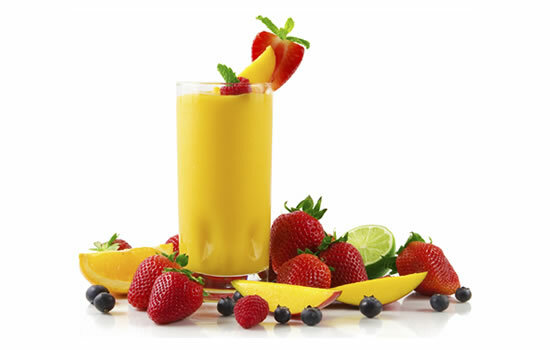 A healthy smoothie is a practical choice as a dessert, meal replacement, or meal supplement. While it is possible to replace whole fruits and vegetable with a nutrient-dense smoothie, there are a variety of issues that need to be carefully considered. A proper intake of fiber is essential for the health. Vegetables contain insoluble fiber, which is helpful for its ability to prevent constipation and move the stools through the digestive system. Plus, the soluble fiber in citrus fruit, carrots, and legumes is ideal for lowering blood sugar and cholesterol. A healthy diet is certain to benefit from food sources that include insoluble and soluble fiber. Fiber rich foods usually require more time spent on chewing, which is able to minimize the likelihood of overeating. But, a smoothie with the ingredients already liquefied is quick and easy to swallow and requires no chewing action. Eating fresh fruits and vegetables gives access to a healthy mix of energy-dense and low-calorie food. A fiber filling piece of fruit can keep you going long into the day without leaving you wanting to indulge in unhealthy snacks. Fresh fruits are usually low in fat content, high in volume (filling), high in fiber, and high in water (although certain fruits are excluded such as raisins). But, with a fresh smoothie the high water content isn’t always guaranteed as it depends on the ingredients used. Plus, the amount of fiber might not meet the daily needs as it can be fragmented or chopped into small pieces. Commercially bought smoothies can include added calories that have no benefit on the overall quality of the health and nutrient content. A store bought smoothie from Smoothie King has about 62 grams of sugar per 20 oz blueberry smoothie. Also, a McDonald’s smoothie contains nearly 28 grams of sugar for a 12 oz berry based smoothie. Eating these fruits will significantly cut down on the calorie intake. An apple (medium size) has about 60 calories and a 1 cup serving of blueberries contains 48 calories. A freshly prepared smoothie at-home using a high-performance blender is certain to maintain most of the fiber content from the fruits and vegetables. Plus, add in healthy fats like coconut oil or avocados to help with increasing the satiety and fullness feeling. Also, nut butter, seeds, and nuts can benefit the all-round well-being. A further option with the self prepared smoothies is the ability to add more water to up the fluid count while the amount of sugar can be controlled more efficiently. A smoothie is certain to provide healthful liquid refreshment that can be easily consumed at any time of the day, but the smoothie doesn’t always contain a complete nutritional equal of the fruits or vegetables that have been blended. Smoothies are certain to be easy to consume, especially for those with a sore throat or after oral surgery. A well-balanced diet can include a varied combination of whole fruits and smoothies to give the desired health benefits and convenience.